This Monday’s percolator is a slow percolator. Slow Leadership is a wonderful blog with the tag-line: Real leadership isn’t an instant activity any more than a healthy diet is a hamburger, fries, and a large soda. It is good to see someone take a strong focus on slowing down and reflection. The articles are thoughtful, well-written, and laced with leadership insights. This blog is invaluable for leaders and strongly encourages leaders to slow down and think, and maybe even think some more. Carmine Coyote looks at a variety of key points around leadership. I encourage you to become a regular reader of the blog. Stop talking at all so damn seriously. Don’t worry what others will think of you. I would call the principles of fun outlined on this post “deep fun.” They are not the superficial activities of passing around silly e-mails or having a crazy dress day at work, rather they are approaches that will add more meaningful fun to your day. 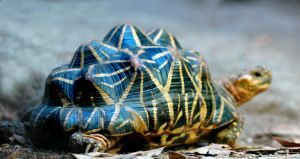 After all, tortoises only make progress when they stick their necks out. Here is the conclusion to the post. When do people perform best at any task, from sport to nuclear physics? When they’re relaxed, intent on what they’re doing and more of less oblivious of everything else. When they’re having fun. So loosen up and enjoy your life. If you want to brew up some powerful engagement recognize what you need to stop, act on what you need to start, and don’t worry — be engaged! This is an awesome post – so very, very true. I love it! Here here for more ‘deep down fun’. Thanks David. Keep up the fab blogging. You have a lot of posts on employee engagement and I encourage reader of this blog to click into what you have to say on the topic. Good work Eileen. I keep looking at your contributions on the topics.